Over the next several weeks, millions of kids will head back to school. This is the time of year when parents are rushing around to get everything ready and while it is hectic we strongly recommend having your child in for a cleaning, exam or routine checkup. While some states require dental checkups every few years, not all do and it is imperative that moms and dads take it upon themselves to help maintain their child’s oral hygiene. It is important to remember this statistic: according to the American Dental Association, more than one-half of all children aged 5 to 9 years have at least one cavity or filling. Unfortunately, most kids won’t make anyone aware of this problem and will do everything they can to hide it. Children with a tooth problem are more likely to show signs of depression, irritation and difficulty eating and concentrating. As a parent it is crucial that you look for signs your child is hiding something. Most parents remember the doctor’s physical each year, but many overlook the important of a back to school dental exam. 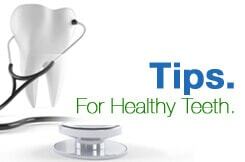 Regular dental checkups, including cleanings and exams, can detect problems that are treatable in the early stages. This can help prevent painful and chronic conditions. But if you don’t schedule a checkup, your child may continue suffering with a very painful condition. By scheduling a checkup in early August, you can ensure your child starts of the school year right and that any problems are taken care of.